Abutilon megapotamicum or the Brazilian Bell Flower is a medium sized shrub that is grown for its delicate, brightly coloured pendulous flowers. There are two forms of this species, one prostrate the other upright. The upright shrub has an open habit with attractive cane-like branches that fall in arches. The prostrate form which grows well as ground cover or on a rockery. 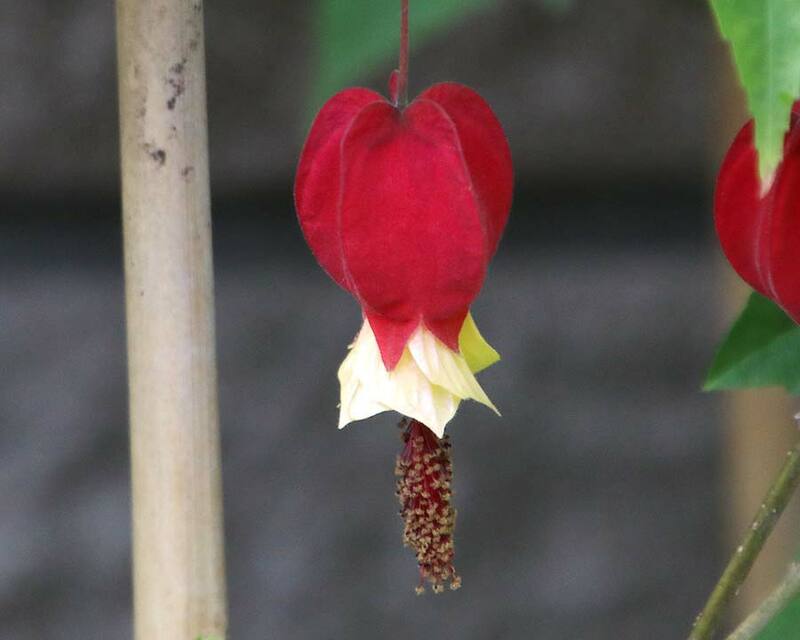 The bell shaped flowers consist of a bright red bowl shaped calyx from which the yellow petals emerge. 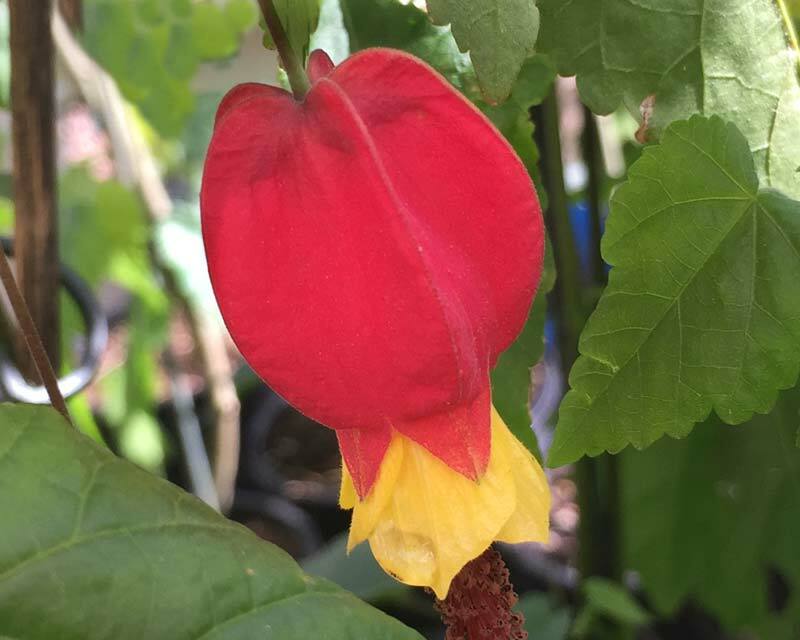 Can be grown successfully in glasshouses cooler climates. 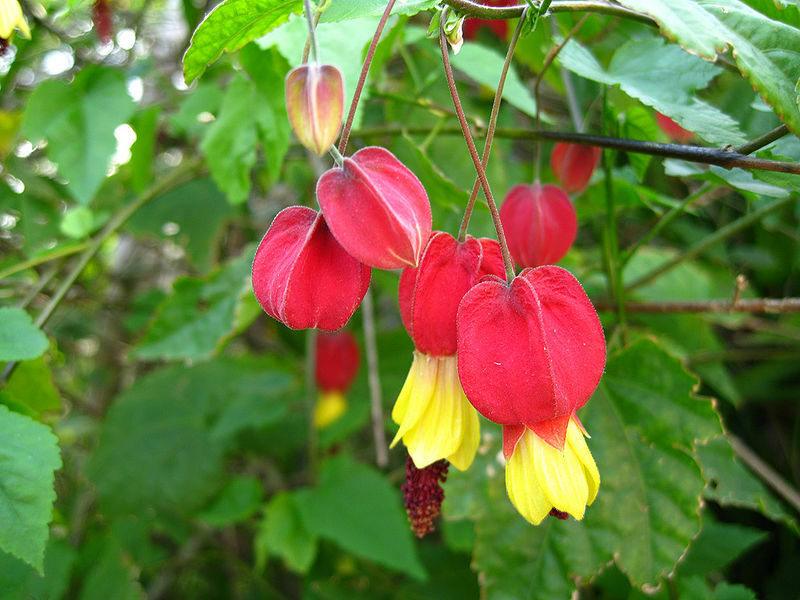 In frost free climates the showy flowers add colour to garden borders and shrubberies. Soil: Require well drained soil. Maintenance: Water regularly and prune after flowering to maintain shape.